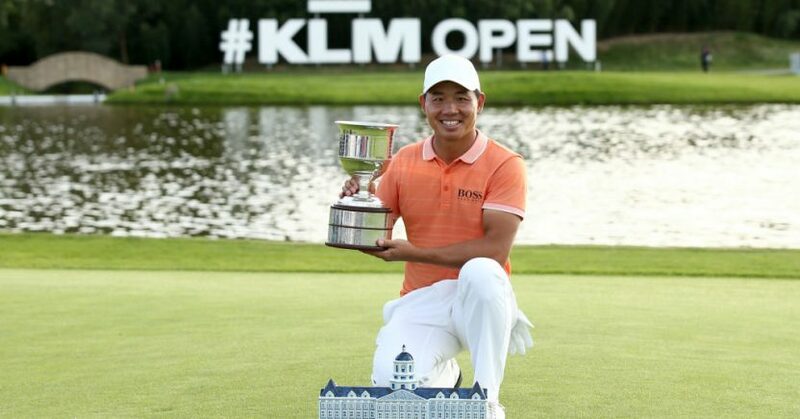 China’s Wu Ashun birdied the last hole at the KLM Open in Holland to win his third European Tour title. The 33 year-old from Xiamen started the final round at The Dutch Gollf Club one shot behind England’s Chris Wood, and, after briefly edging ahead in the early stages, spent most of the day playing catch up before birdies on the 14th and 15th moved him level with Wood at 15 under. But a stunning second shot into the par-five last set up the closing birdie in a 67 and with Wood only able to make a par, Wu claimed his first win since the Lyoness Open in 2016. Victory in Holland makes Wu the most successful Chinese player in European Tour history, and represents an excellent return to form after he needed the Access List to keep his playing privileges last season. Wood’s closing 69 left him one shot clear of Thomas Detry and Hideto Tanihara, with the resurgent Padraig Harrington taking fifth spot at 13 under. Søren Kjeldsen and Eddie Pepperell both closed with 65s to finish on 12 under, alongside Bradley Dredge and David Drysdale, with the latter virtually securing his card for next season after moving up to 101st on the money list.